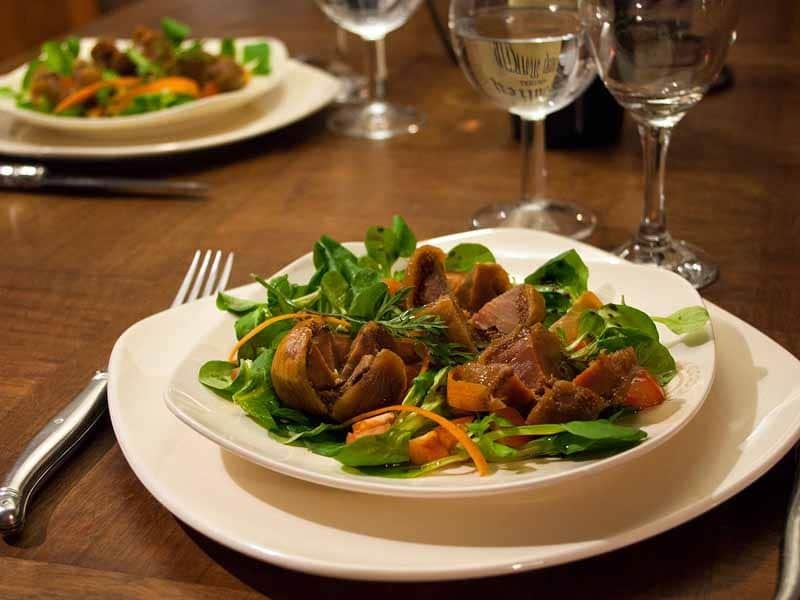 Farm products from feded prickly ducks and cooked in the pure Périgourdine family tradition. 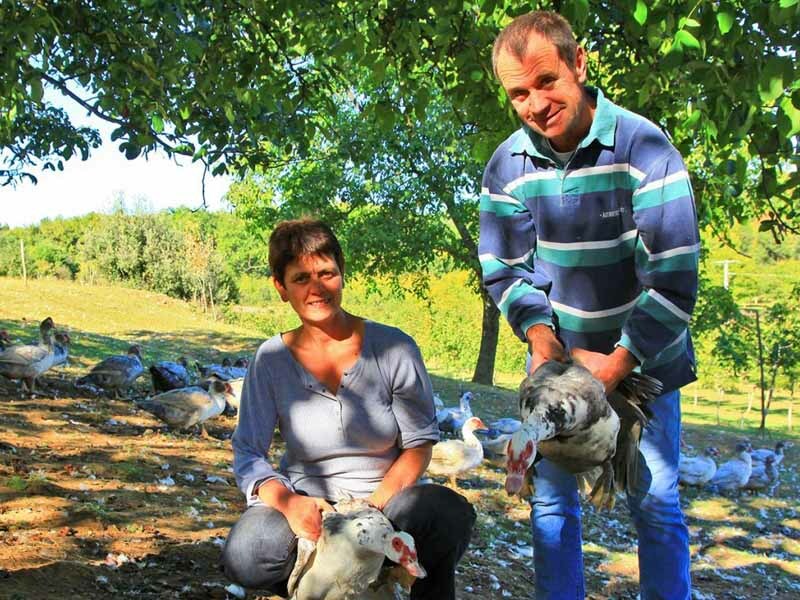 We are a producer of foie gras in Dordogne. At the beginning of the years 1900 the main production was the vine and then, following the phylloxera, the tobacco culture was introduced. Fatty liver production has always been at least for family consumption.  We have found documents attesting to the sale of foie gras in the Sarlat market of Sarlat dating back to 1954, with a faithful participation every Saturday morning. We produce only barbaric ducks. This type of duck has been abandoned because it does not support industrial techniques!!! Taste the difference!!! 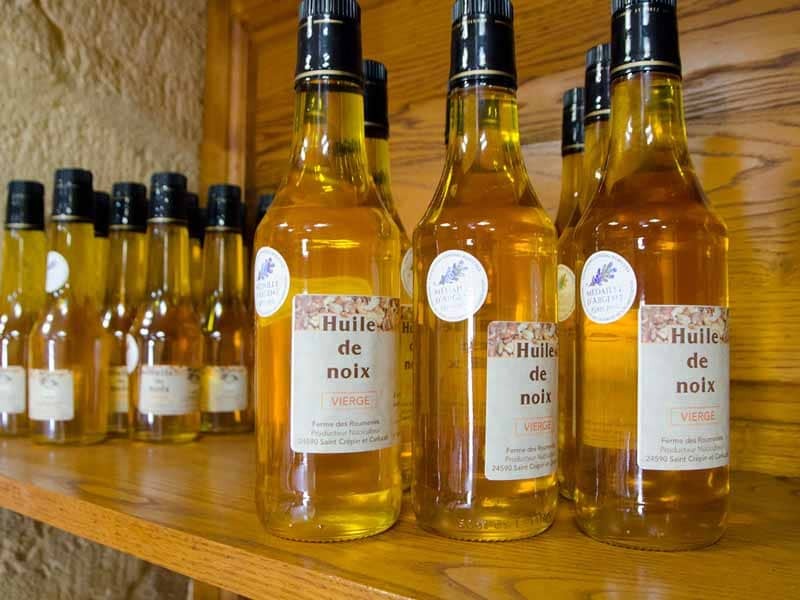 All our products are concocted from barbaric ducks, from the production of the farm (breeding, gavage and canning on site): Fatty livers, candies, breasts, prepared dishes, and the speciality house, figs filled with foie gras (dried figs Filled with foie gras and poached in Monbazillac). The Roumevies farm also holds a walnuts ‘ production with some 30 hectares of walnut trees. We offer several varieties for sale including Franquette. Our walnuts benefit from the protected appellation of origin “walnuts du Périgord“. So these are, Virgin Walnut oil, kernels and whole nuts that you can find in our home. Evelyne and Christian Leymarie offer you their rural cottages of character. 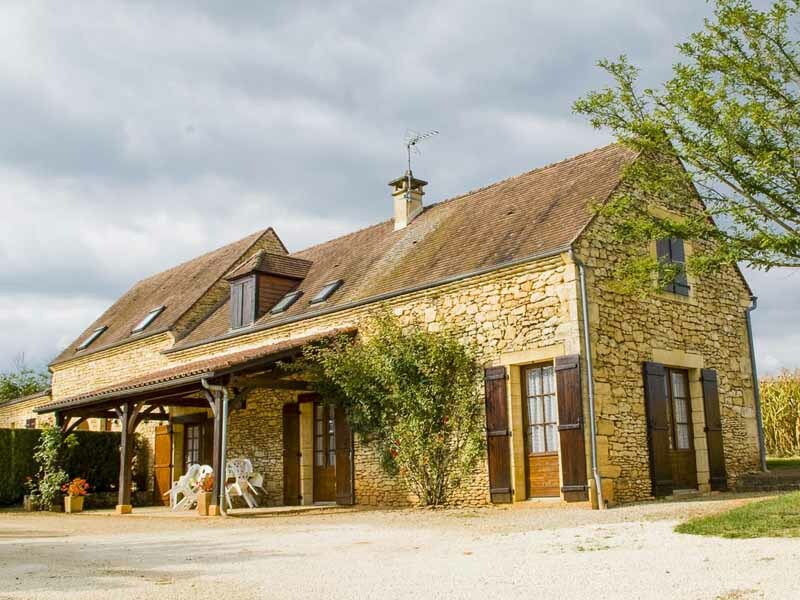 The cottage in Dordogne has been able to keep the charm of the old life without neglecting the comfort of today; All our lodgings are classified 3 ears gîtes de France.